Mining contractor Macmahon Holdings engages retired mixed martial artist, Soa “The Hulk” Palelei, as an ambassador for its Strong Minds, Strong Mines mental health program. “It was important to us to put together a comprehensive program so we combined mental health specialists, Resource Minds, with physical fitness expert, Soa Palelei, who is an ideal ambassador for our program,” said Macmahon CEO, Michael Finnegan. “He is well known for his UFC career and is also a passionate advocate for mental health. His personal story makes him a very credible speaker on depression, bullying, resilience and overcoming adversity,” he continued. As part of the Strong Minds, Strong Mines program, Soa visits Macmahon sites on a regular basis to talk about issues that affect mental wellbeing. “Soa understands the pressures of working away from home, being one of the first Australians to compete in the Ultimate Fighting Championships in the United States. “This experience has enabled him to build a real connection with our people very quickly, which is great to see,” said Mr Finnegan. 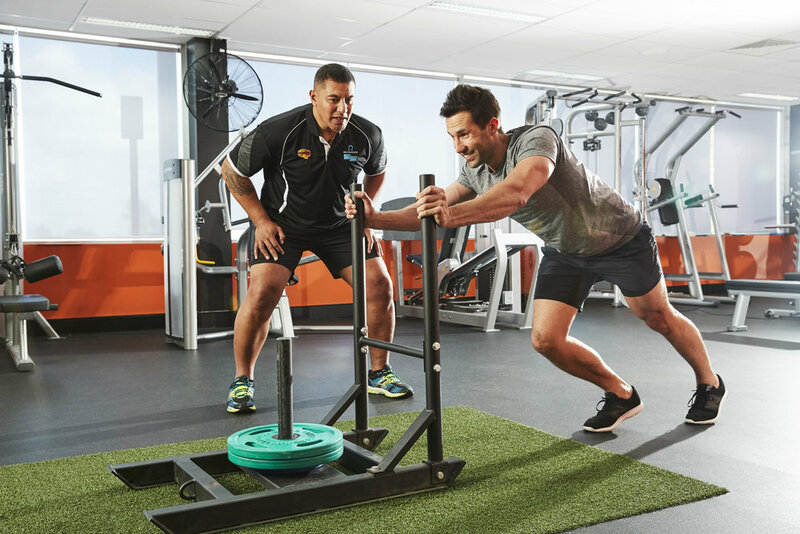 Macmahon employees also have the opportunity to have one-on-one and group personal training sessions with Soa during his visits, and in the near future Macmahon will offer this benefit to partners of employees using the gym at the company’s head office in Perth. Mr Palelei said he was very pleased to be working with a company taking a proactive approach to support the mental and physical health of its people. “Just giving people the opportunity to talk with someone about depression and anxiety can be incredibly valuable in a FIFO setting, and the gym facilities at many of Macmahon’s sites are set up to facilitate this. “Exercise itself can also be an effective treatment for some mental health issues,” he said. Soa’s presence has already had a positive impact on sites, receiving standing ovations at toolbox talks. “I’ve had guys come up and personally thank me for sharing my story and saying that they’ve now got the courage to talk about their mental health without fear of being labelled,” said Mr Palelei. Macmahon is an ASX listed company offering a variety of mining services to miners throughout Australia and South East Asia. Macmahon's focus on developing strong relationships with its clients whereby both parties work in an open, flexible and transparent way to ensure mutually beneficial outcomes whilst also minimising risks for both parties, is reflective in the above initiative to remove the stigma around mental health issues for mining workers.